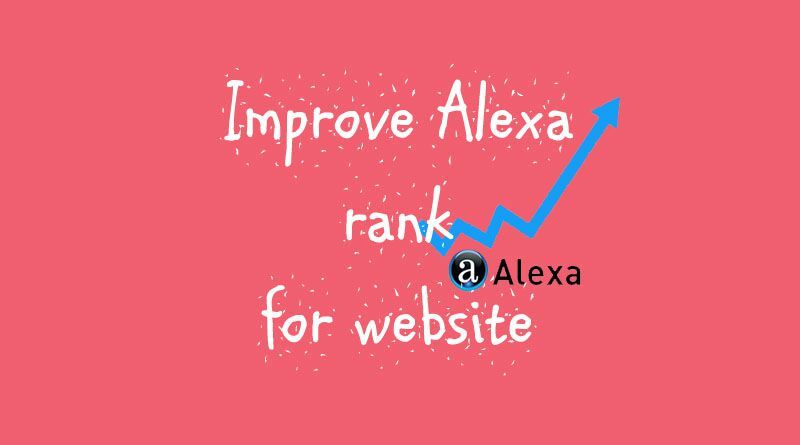 Alexa rank can be improved using Alexa toolbar for browser, add Alexa widget on WordPress blog and update your blog in a regular basis. Alexa.com rank every website and blog based on their page traffic and many other factors. This Alexa Rank gets updated daily. So, lesser the Alexa rank, the website is better. If you increase you website traffic then Alexa rank will be automatically increased. Regular basis update on website is equivalent to increase traffic and hence Alexa rank is proportional to this. The only first thing you need to understand s know the Alexa Rank first then focus on how key areas work. Alexa only count on those visitors who have installed Alexa Toolbar on to their browser. To improve Alexa rank, is Alexa Ranking is worth for SEO? You can find that many SEO Specialists suggest not to consider Alexa rank while you do SEO for your website. If you do SEO properly in your website, you can see that Alexa rank change positively. That means you applied the best tactics on your website. Update you website content in a regular basis. Add website review on Alexa i.e. using link http://www.alexa.com/siteinfo/https://namasteui.com#reviews you can add your own review. Add Alexa widget to your website. Use Alexa toolbar in your browser. If your website is receiving to much high traffic then you can go for pro version. Remember, pro membership can help website that get much high traffic but website with less traffic you would see a negative impact.